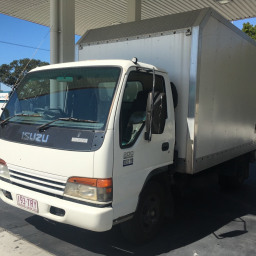 We are a small professional removalist business based in Ferny hills servicing all of Brisbane and South East Queensland. We offer both removalist work and also green and general waste tip runs. All our costs are all inclusive. No call out fees, no back to base fees, no stair fees, no fuel fees. Doug H. said “Matt is a champ, fears nothing except the odd toad and lifts like an Olympian. Great service, fast response, well priced and quality person. Help move my fridge, aircon, dehumidifier & boxes. Katherine P. said “Great job! Sarah C. said “Matthew was wonderful! He helped my partner and I move furniture from one house to the other and was easy to communicate with! Very easy going, very efficient, helpful and highly recommend!